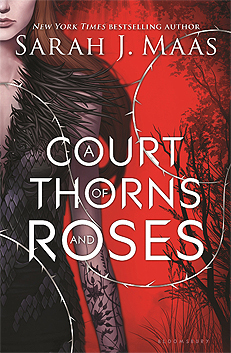 Resume: Feyre’s survival rests upon her ability to hunt and kill – the forest where she lives is a cold, bleak place in the long winter months. So when she spots a deer in the forest being pursued by a wolf, she cannot resist fighting it for the flesh. But to do so, she must kill the predator and killing something so precious comes at a price. I have been avoiding reading this series because they have too many pages but how I regret it! Meet Feyre. The youngest of three sisters that for years have been hunting animals to feed her sisters and father. Feyre is beautiful, strong, cold, warm. She cares and takes care of people. She dreams with a better world and fears almost nothing. Tamlin. A High Lord using a mask covering his face and shifts to a wolve. An immortal Lord living in a fairy world. Tamlin is handsome, insecure, loves with intensity and is weak. All other characters have their own sharped personalities. They pull you to their world and makes you want to read more and more, learn more and more. The real winner was the world-building. Maas just created an impressive fantastic world. The story is full with details, imagination. I loved it! You see glimpses of Beauty and the Beast, Hades & Persephone and I’m sure more will come with the next books. This book is gold, nothing can be said without spoilers so I just recommend it and go blind. Let it take you to other world of immortals, scary creatures, war, cruelty and raw scenes.